This entry was posted in 02 - New Posts: January 2014 onwards, Health and Wellbeing (article archive), Seize the day! 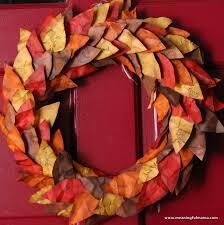 and tagged giving thanks, gratitude, Meister Eckhart, Sarah Ban Breathnach, Thanksgiving, Thanksgiving Day. Bookmark the permalink. Happy Thanksgiving Anne. 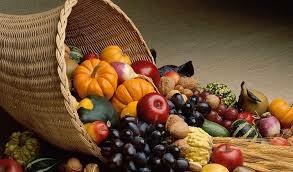 In Canada we celebrate our Thanksgiving holiday in early October. I was surprised to read that Scotland is home to “many expat Americans”…is there a reason for this, other than Scotland being a beautiful country? Well, I have relatives in Canada, New Zealand, Australia as a result of the Scottish diaspora of the 18th, 19th and 20th centuries – as have many other Scots. So I guess the USA folk here may just be returning the favour! And it shows what good taste they have! Happy Thanksgiving to you too, Bev. And I greatly appreciate your support of my writing. Thank you. My dear Rashani thanks so much for dropping by. Your timing is good, because after a long, too-busy spell I am having some winding-down and reflective time from Advent onwards. So – I’d be happy to write a brief introduction to your new book. I am also planning to read and reflect on ” Beyond Brokenness” which you so kindly sent me some months ago. Do email me at info@anne-whitaker.com so that we can discuss further what you would like me to do. Thank you Anne for this post. And thank you for your work with the 12th House. Kind of you to call by, Martha! Glad you appreciate my 12th House writings. I was there for a long time some years ago, learned a great deal, wrote a whole book and countless journals – and emerged enriched. 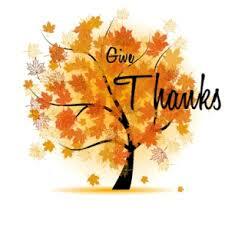 So it is good to know that you have benefitted from my learning…Happy Thanksgiving! I had a lovely time away, although I’m finding it rather difficult to reengage after such a clean break. That’s not altogether a bad thing, of course. It was almost impossible during our recent elections not to get too caught up in the manipulations of the media, or the machinations of the candidates and their followers. You had a bit of that yourself recently, and no doubt know what a relief it can be to get away from the frenzy. I think its so nice that our Thanksgiving has developed a bit of a following elsewhere. Of course, gratitude belongs in every day, but setting aside a special day is a good way of reminding ourselves of what’s so easily forgotten: the true blessings of life. Blessings to you, as we move toward Solstice and the celebrations of Christmas! And Blessings to you, too, Linda, as Advent leads us to the heart of wintertide. Glad you enjoyed your break. I sure am looking forward to mine!